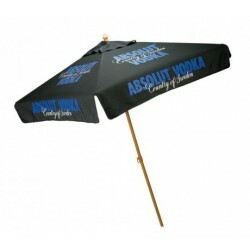 Custom market umbrellas are big umbrellas used for altering the psyche of a landscape and a duller promotional campaign! 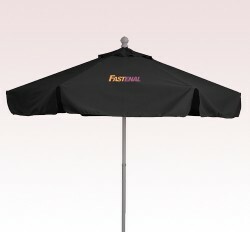 These are actually lightweight movable umbrella used by marketers to grab attention at crowded marketplace or vast outdoors, etc. 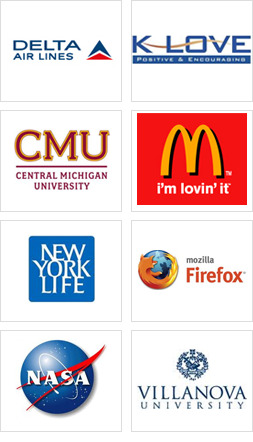 Advertisers all over the world pursue alternate advertising because it allows them to put their caring side in front of targeted customers and to promote their business effectively. 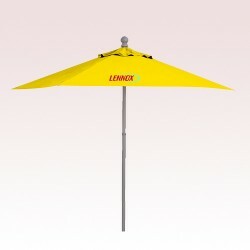 Printed market umbrellas are luminous example of this alternate advertising where these umbrellas shade heads and offer great relaxation under the sun. 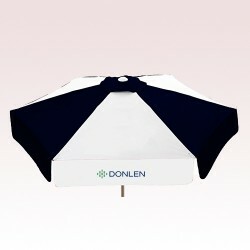 At the same time, it promotes business with their extra large canopies bearing brand logo or brand credentials. 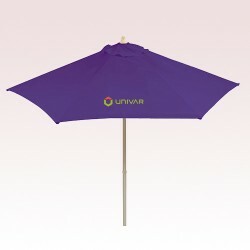 At US Umbrellas, we have put up a solicitous collection of custom outdoor umbrellas and promotional market umbrellas that are perfect for promoting businesses and for forging harmonious environment under the sun during summers! 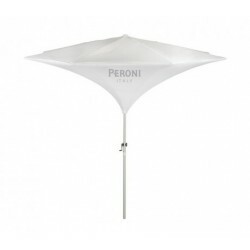 These huge market umbrellas began their journey in markets of Italy and France but today they have traveled several miles across Pacific to shade customers and businesses in USA. 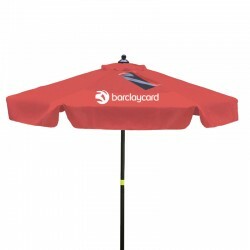 Interestingly, merchants who are struggling to beat the noon heat and trying hard to cover up themselves, their customers and their offerings such as fruits and vegetables began toying with the idea market umbrellas. 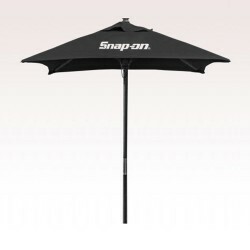 Today, this idea has clicked with all those marketers who are trying hard to shade their customers during noon heat and buy their attention from a long distances. 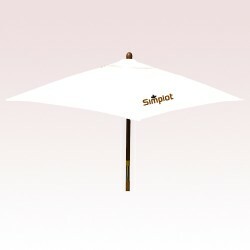 Custom cafe umbrellas are the most popular forms of market umbrellas and by now we have employed them for hundreds of our clients ranging from motels, hotels, beach side restaurants, poolside dining restaurants, etc. 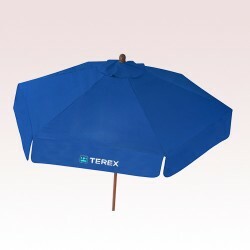 These umbrellas also make an indulging sight during festive celebrations where people come out in large numbers to enjoy themselves. 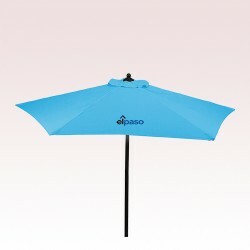 These promotional cafe umbrellas are designed for commercial advertising and it protects people from inclement weather. 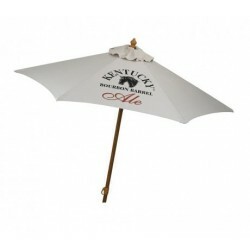 This exclusive collection features most selling custom market umbrellas in various sizes, shapes and budget sizes. 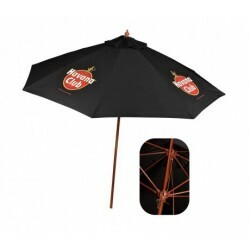 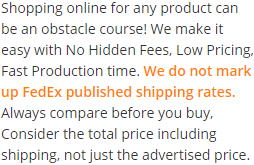 We have worked hard towards quashing a popular myth which is “custom printed market umbrellas are unaffordable” by creating this section. 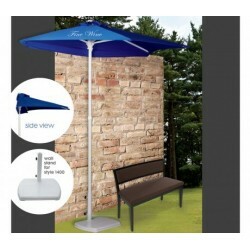 All these imprinted market umbrellas and custom outdoor umbrellas perfectly fit into the bracket of inspirational, fashionable and above all functional umbrellas. 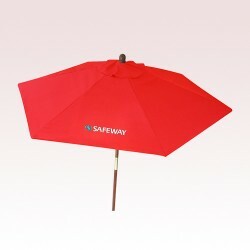 These value effective market umbrellas with logo help businesses to represent themselves in a very expressive form. 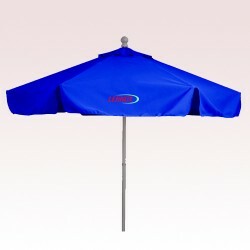 If you are confused about the type of promotional market umbrella that is well-suited for your business or know about its special pricing or about their shape, fabric or anything else, feel free to pick up the phone and contact our umbrella experts at 888-254-5290 or email us at info@usumbrellas.com.